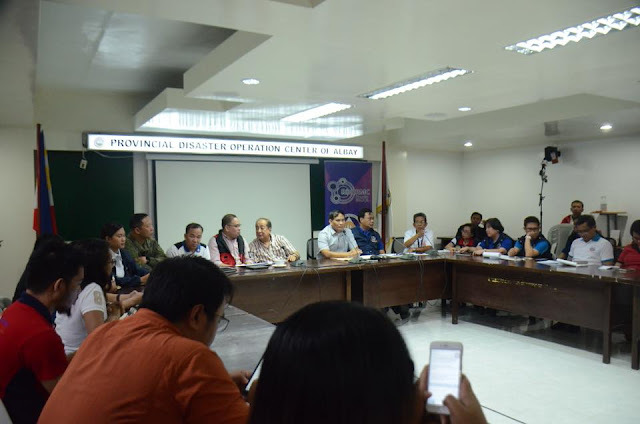 LEGAZPI CITY (Jan 24) – DepEd Bicol Regional Dir. Ramon Fiel Abcede disclosed that a total of 65 classrooms were affected by the on-going Mayon Volcano eruption. Twenty-four (24) of this were inside the Danger Zone while Forty-one (41) others were used as evacuation centers. In his report Abcede said that there were 21,479 affected learners with the activity of Mayon Volcano. He added that the agency will construct 163 temporary learning spaces (TLS) while the available 250 TLS used before will undergo repair to avoid disruption of classes while the fleeing residents from the danger zone, extended danger zone and buffer zones were temporarily settled at the classrooms designated as evacuation centers.